Experiencing problems with component supply for EZL-50L(A) we highly recommend CSE-M53N for new system. 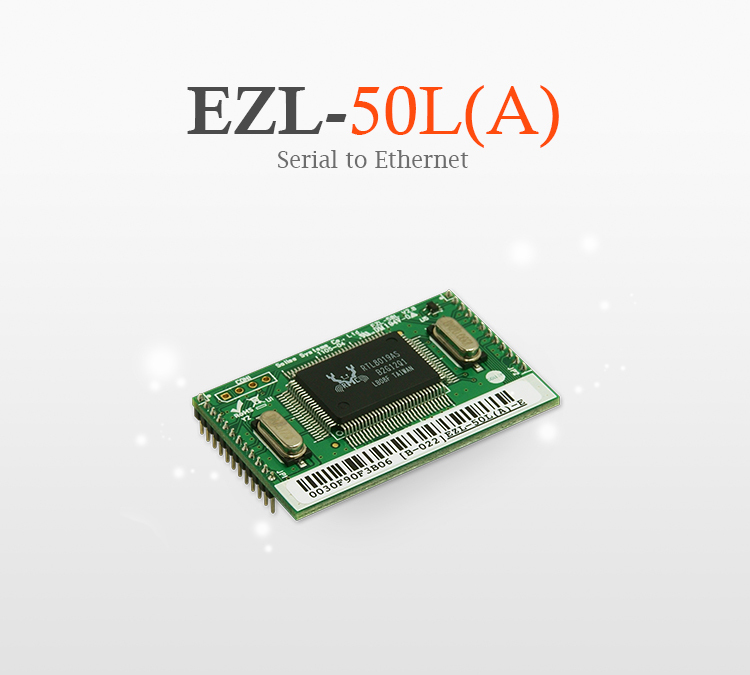 EZL-50L(A) is a module for manufacturers who want to embed Ethernet connectivity in their products easily and economically. The cost-effective EZL-50L(A) module adds network connectivity to your devices with a serial interface on its host micro controller. It reduces cost and risk and shortens development time to add networking capability as a standard feature. It processes TCP/IP protocol which is required to send and receive data over the Internet. EZL-50L(A) also makes it possible to extend the distance of serial communications without changing existing system. So your devices can be remotely controlled, managed and monitored over the Internet. Because of its low cost, it is ideal for high-volume products which need low-cost. EZL-50L(A) can be applied in various communication environments such as Central Remote Patient Monitoring System, Power Management System, Mobile Terminal Testing Equipment, etc. * The above information is subject to change and Sollae Systems is not responsible about any changes.